The state Supreme Court, yesterday, ordered the trial judge to unseal documents relating to the cases of state Sen. Jane Clare Orie (R-40) and her sister, Janine Orie. The Ories have been charged in Allegheny County with theft of service and other crimes relating to the allegation that they improperly assigned state employees to work on the successful election campaign of their sister Joan Orie Melvin to the state Supreme Court last fall. The 40th District includes part of Allegheny County. The District Attorney is Stephen Zappala, a Democrat and a political enemy of the Ories. Among the documents the Supreme Court ordered Common Pleas Court Judge John A. Zottola to release was a motion filed by then Orie attorney Jerry McDevitt asking that the District Attorney’s Office be prohibited from investigating Orie because of conflicts of interest. Zottola sealed the records claiming he was following the directions of the Supreme Court. The Supreme Court said Zottola misinterpreted them. The petition to unseal the records was filed April 16 — nine days after the charges were levied — by the Pittsburgh Post-Gazette and WPXI-TV. Zappala has an interesting connection to the Luzerne County cash-for-kids scandal. His brother Gregory was co-owner of the PA Child Care and Western PA Child Care incarceration facilities where the youths were sent in return for kickbacks to Luzerne County judges. Gregory’s and Stephen’s father is former Supreme Court Judge Stephen Zappala Sr. The business address for Western PA Child Care was actually the home of Zappala Sr.
Pennsylvania Supreme Court Chief Justice Ron Castille is expressing concern that the prosecutions of the sisters of Pennsylvania Supreme Court Judge Joan Orie Melvin might further tarnish the reputation of Pennsylvania’s judicial system. It’s sort of like saying the buzzing of another fly is going to somehow make less pleasant the stink of a rotting skunk. The Orie sisters– state Sen. Jane (R-40) and Janine, who was an aide to Justice Melvin until she was suspended when the charges were filed — are accused of doing things like using Sen. Orie’s office copier for Justice Melvin’s election campaign. The man filing the charges against Jane and Janine is Allegheny County District Attorney Stephen Zappala. Zappala is the son of former Supreme Court Chief Justice Stephen A. Zappala Sr. who became an employee of the Pennsylvania Casino Association after he left the bench. Sen. Orie — ironically? — is a big critic of casino gambling. 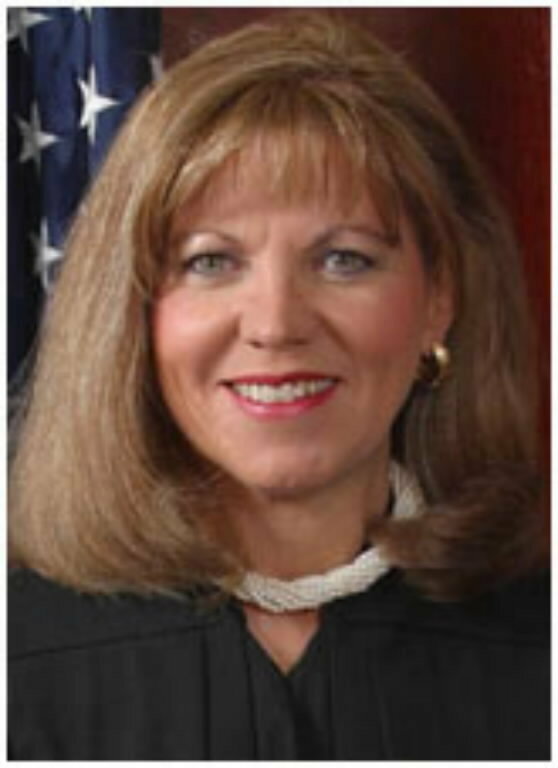 Justice Castille in his concern about the Pennsylvania judicial system’s reputation cited the Luzerne County youth court scandal in which hundreds of youngsters were sent to Western PA Child Care, which is a juvenile detention facility, for often minor offenses such as fighting on the school bus. In return, county judges allegedly received kickbacks from the center’s operators. In another bit of irony, Western PA Child Care is owned by Greg Zappala who is D.A. Zappala’s brother. The business address for Western PA Child Care was the home of former Chief Justice Zappala. Allegheny County District Attorney Stephen Zappala, today, filed criminal charges against state Sen. Republican Whip Jane Orie (R-40) and Janine Orie, an aide to state Supreme Court Justice Joan Orie Melvin, who is their sister. Jane is accused of letting her staff do non-legislative work during business hours for political campaigns for herself and Joan between 2001 and 2009. Joan was elected to the Pennsylvania Supreme Court last November. Assistance included creating campaign materials for Joan on the senator’s district office equipment,including scanners, computers and photocopiers. Janine is accused of masterminding the operation along with Jane’s chief of staff Jamie Pavlot, who appears to be cooperating with Zappala. The actual charges are theft of services, tampering with or fabricating physical evidence,criminal conspiracy and violations of the state office and employee ethics act. She suggested that Zappala has targeted them because of her opposition to expanded casino gambling in Pennsylvania. Zappala’s father, former state Supreme Court Justice Stephen A.Zappala Sr., has served as an official with a group representing the casino industry. KDKA is reporting that an indictment will be forthcoming for Pennsylvania State Sen. Jane Orie (R-40), who is that body’s majority whip and the sister of state Supreme Court Judge Joan Orie Melvin. Sen. Orie is the subject of an investigation by Allegheny County District Attorney Stephen A. Zappala, Jr., a Democrat, that she used staff members to campaign for her sister.